He was born on 14 December 1924 in Peshawar, India (Currently in Pakistan). His father was Prithviraj Kapoor and his mother was Ramsarni Devi Kapoor. Prithviraj Kapoor and Ramsarni Devi Kapoor had six children. 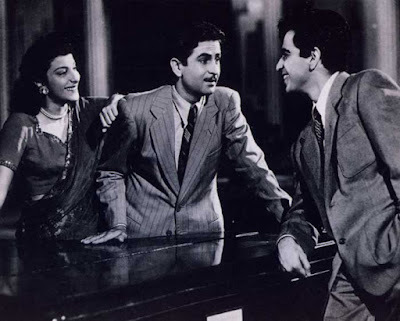 Raj Kapoor was the eldest. His brother Shashi Kapoor and the late Shammi Kapoor are also actor. His father was also an actor. He married to Krishna Malhotra and had five children. He completed his education from Colonel Brown Cambridge School, Dehradun and St Xavier's Collegiate School. He appeared for the first time in the film Inquilab. He was only 10 years old at that time. His first successful film as a lead actor was Neel Kamal opposite Madhubala. In the year 1924, he established the R K films and directed the film Aag. He was only 24 at that time. That made him the youngest film director at that time. His some of the famous films as director and actor were - Awaara, Shri 420,Sangam, Jagte Raho and Jis Desh Men Ganga Behti Hai. In 1970, he made the film Mera Naam Joker. It was his ambitious project and took lot of effort and time. But the film was a disaster and he suffered from financial crisis. Later the film turned into a classic and critics mentioned it as one of the best film directed by Raj Kapoor. He also launched his sons Randhir Kapoor and Rishi Kapoor in his films Kal Aaj Aur Kal and Bobby. He is also called as "Charlie Chaplin of Indian cinema” for portraying tramp like character in his films. He was honored with many awards. 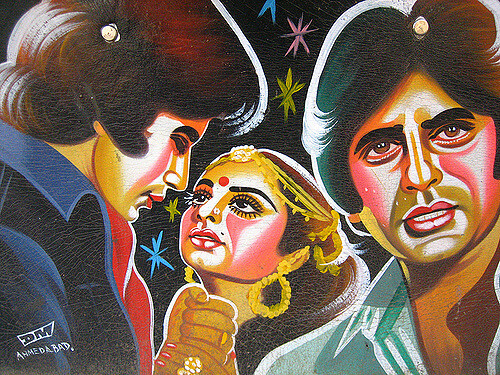 He won Dadasaheb Phalke Award in 1987. He was also bestowed with Padma Bhushan. He won three National Awards in his lifetime. He died on 2 June 1988 due to asthma. At that time, he was working on the film Henna. Which was later completed by his sons and released in 1991. Chennai is the capital of Indian state Tamilnadu and one of the best educational, economic center of India. It is one of the best cities to live in India. Chennai is the fourth largest city of India (Area wise) and sixth largest city (Population wise). Chennai was formally known as Madras. In 1996, the name was changed from Madras to Chennai. It is famously called as “Detroit of India”. As most of the automobile industry is located here. About one third automobile industry of the country is here. The city lies on the thermal equator which makes it one of the hottest city of world. In May and June, the temperature rises to 40-degree C. It is generally referred as Agni Nakshatram ("fire star") or Kathiri Veyyil. World’s second oldest Municipal Corporation -Greater Chennai Corporation governs Chennai. It was established in 1688. It has the largest number of Heritage buildings in India after Kolkata. Some of them are - Chennai Central, Chennai Egmore, Madras High Court, Ripon Building, Chepauk Palace, College of Engineering, National Art Gallery. It is also known for its art, dance, and culture. It is one of the important center of oldest dance form Bharata Natyam. World’s second largest beach - Marina Beach is in Chennai. It is one of the most attractive tourist destination. It is one of the most favored spot for the foreign tourists in India. 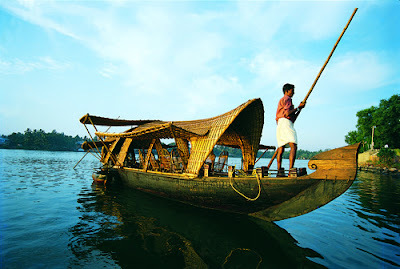 That’s why it is sometimes referred as Gateway of South India. Some of the famous places are – Mahabalipuram (UNESCO World Heritage site), Madras Crocodile Bank Trust, Mariana Beach, Elliots Beach, Arignar Anna Zoological Park (One of the largest zoological park of Asia). Chennai is the center of major Hospitals and Medical Facilities. It is sometimes referred as India’s health capital. Delhi is the national capital territory of India. Indian States Haryana and Uttar Pradesh surrounds it. Delhi is also center of Indian politics and famously called as City of Rallies. 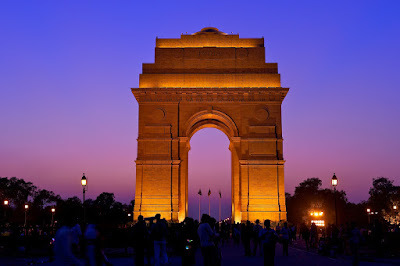 Delhi is the most expansive city of India and second most populous city (First is Mumbai) of India. In 1991, it was declared as the National Capital Territory of India by The Constitution (Sixty-Ninth Amendment) Act, 1991. Under this act, the Central Government and Delhi Government both govern it. Delhi has a very rich history. It was governed by Pandavas to Mughals. It served as the capital of many empires specially during Medieval period. Delhi is one of the most polluted city of World. The air pollution is very high in the core city. It was declared most polluted city of world in 2014 by WHO. Delhi is famous for different foods. It is the place from where Mughlai cuisine originated. It is famous for Kebab, biryani, tandoori, samosa, chole bhature, chole kulche, jalebi. Delhi is also famous for its street foods. Gali Paranthe Wali of Chadni Chowk is famous among the foodies. Azadpur market of Delhi is the largest fruit market of Asia. Khari Baoli Market is the largest Spice market of India. Delhi used to be a walled city which had 14 gates. Among the gates five are still there- Ajmeri Gate, Kashmiri Gate, Lahori Gate, Delhi Gate and Turkman Gate. The major bus services of Delhi are operated by DTC (Delhi Transport Corporation). It is the largest CNG-powered bus service operator in the world. The Ridge of Delhi is famous for bird lovers. It makes Delhi the second most bird-rich capital city. Mahabharata is one of the epic of ancient literature. This Sanskrit epic describes the war of Kurukshetra between the Kaurava and the Pandava princes. Mahabharata is the source of inspiration for many movies and serials. The Sage Vyasa authored the Mahabharata. Vyasa was a Sanskrit author. He is also known as Krishna Dvaipāyana, Veda Vyāsa. The literal meaning of Vyasa is Compiler. Many people suggest that Vyasa was not a person but a group of sages having great knowledge of Vedas and Vyasa was the title provided to them. About 28 people had this title. Vyasa has also scribed Vedas and Puranas. Guru Purnima is dedicated to Vyasa for his immense contribution. Mahabharata is the longest text of the world. It consists about 100,000 shlokas and 1.8 million words. 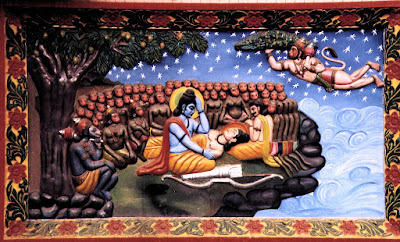 The other Indian epic Ramayana, is 4 times smaller than Mahabharata. “Mahabharata” literally means the Great story of Bharata. It is believed that the Mahabharata was written in the early Vedic Period. Mahabharata was first recited by sage Vaisampayana, a disciple of Vyasa. He recited it to the king Janamejaya, the great grandson of Arjuna. 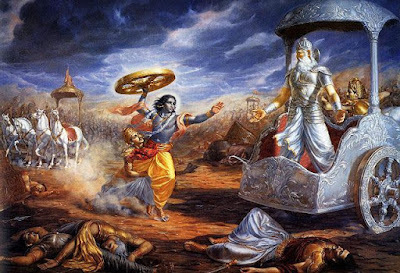 Among the different stories and different subsections of Mahabharata, one of the main event was the conversation of Arjuna and Krishna at the battlefield. This conversation created one of the most sacred Hindu religious scripture – “Bhagavad Gita”. Bhagvad Gita is one of the most revered book of Hinduism. 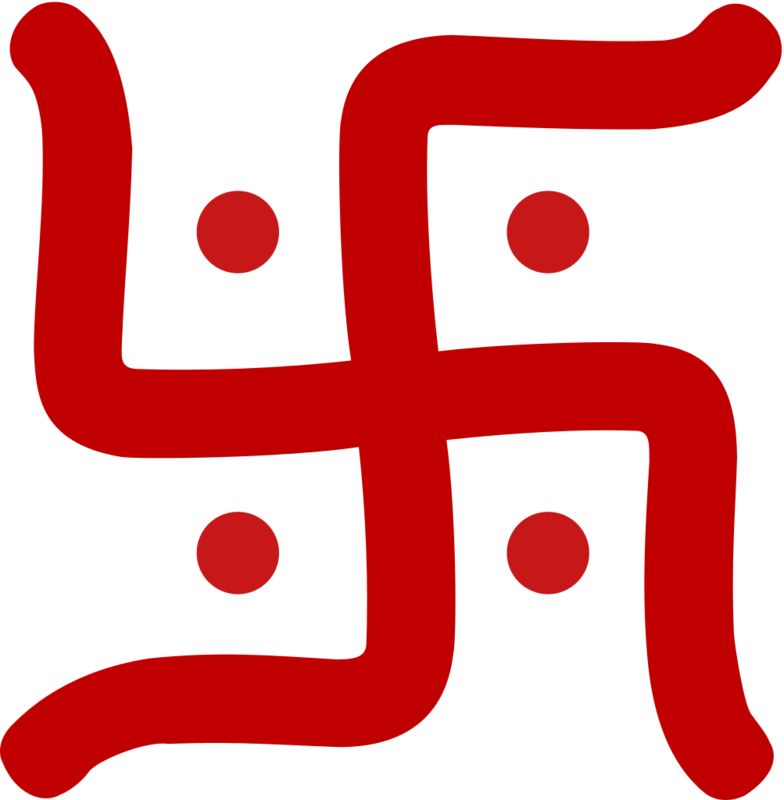 This is considered as the summary of Hindu philosophy. Gandhi had called the Gita as Spiritual Dictionary. Bhagvad Gita discusses about the soul, yoga, reincarnation, purpose of life and nature of time in a logical way. It is said that when Vyasa conceived the idea of Mahabharata. He thought that it will not be possible for him to complete it in his lifetime. So, he asked the help of Brahma and finally God Ganesha helped vyasa to write it. It has 18 parvas- Adi, Sabha, Van, Udyog, Virat, Bhisma, Dhron, Kama, Shalya, Stri, Shasti, Anushashan, Ashwamedhie, Ashramvasik, and Shanti. Mahaprasthanic and Swargarohan. Sometimes it is also called as fifth Veda due to vast inner context that it carries. The Kurukshetra war was fought for 18 days. Kurukshetra is in Haryana where this war was fought. Ramayana is an epic poem of ancient India. There are mainly two epic poems of ancient India. One is Ramayana and another is Mahabharata. Both have a very high importance in Hinduism. Rishi Valmiki was the author of Ramayana. Valmiki was an Sanskrit poet of ancient India. Initially he was a fierce thief and known as Ratnakar. One day when he met Narada and tried to rob him. He found that Narada was not a bit afraid of him and instead his behavior was very friendly. Narada’s behavior astonished Ratnakar. Then Narada introduced him to the Principles of Karma and pursuit him to leave his sinful acts. To make a penance, Ratnakar sat in meditation for several years. Later when he woke up from his meditation, he wrote the epic poem “Ramayana”. Ramayana is one of the largest literature. It has 24,000 verses, divided into seven Kandas (books) and about 500 sargas (chapters). 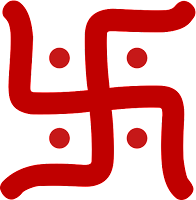 The Seven Kandas are – Bala kanda, Ayodhya kanda, Aranya kanda, Kishkindha kanda, Sundara kanda, Yuddha kanda, Uttara kanda. There is no clarity on when it was written. Though it is believed that it was written around 4th Century BCE. Sometimes it is reffered as Adi Kavya (adi =first; kavya = poem). It is considered that Ramayana was existed before the Mahabharata. The literal meaning of Ramayana is “Rama’s Journey”. Rama is the central character of Ramayana. 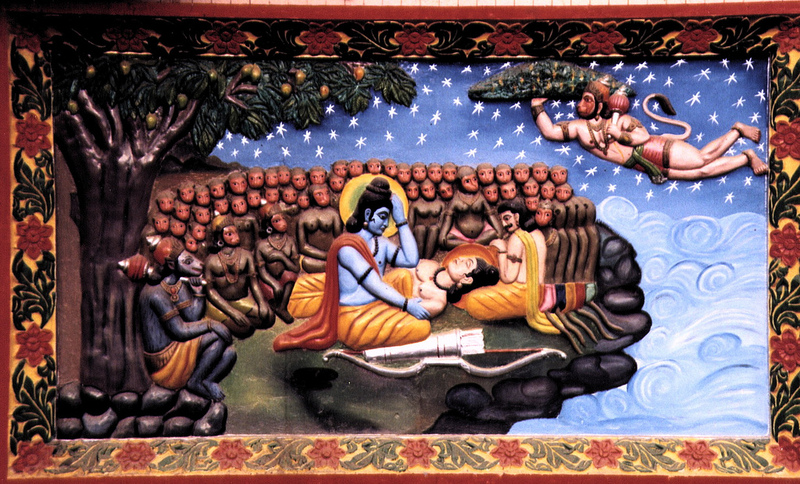 Rama is portrayed as an ideal person in the epic. Ramayana has a great impact on Indian art and culture. Many characters and incidents depicted in Ramayana can be found on different Indian Temples and Art. Rama is worshiped as incarnation of God Vishnu. Different literature still use characters of Ramayana. Many movies and TV series are made based on Ramayana. Different characters described in the Ramayana are believed as incarnation of different gods. Like- Rama as incarnation of Vishnu, Sita as incarnation of Laxmi, Laxman as incarnation of Shesha Naga, Hanuman as incarnation of Shiva. Election Commission of India is a constitutionally established authority which is responsible for conducting elections in India. Election commission is a permanent and independent body. It also conducts elections of State Legislatures, President and Vice President. Election Commission is controlled by chief election commissioner and two other election commissioners. President of India appoints the chief election commissioner for a term of six years or up to the age 65 of election commissioner, whichever is earlier. Other two commissioners are appointed by the president and chief election commissioner. In the beginning there was only the chief commissioner in the election commission. On 16 October, 1989 two additional commissioners were appointed for the first time to reduce the work load of chief election commissioner. Election commission became permanently multi member body after the constitution amendment act,1993. The first election commissioner was Sukumar Sen. Current election commissioner is Achal Kumar Jyoti. The chief election commissioner can be dismissed from his position only through impeachment of parliament. Other two commissioners can be removed by the the president through the recommendation of chief election commissioner. With the improvement of technologies, election commission introduced EVM (electronic voting machine ) to improve election procedures. It was first tried in 1982 in Kerala for legislative assembly elections in limited numbers. 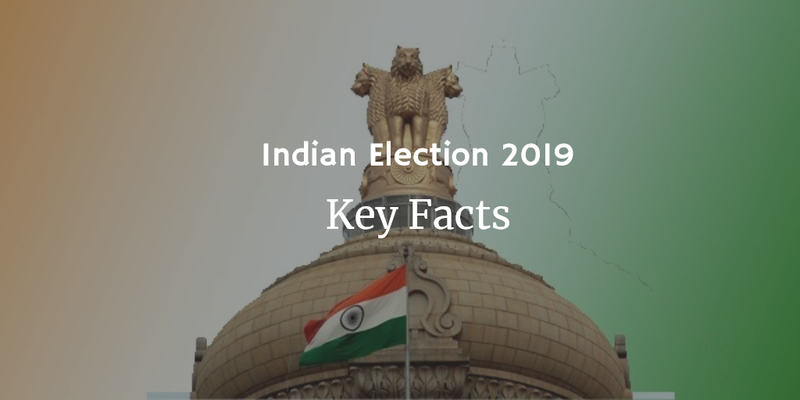 EVMs are made of two units – Control unit and Ballot unit. Control unit belongs to polling officer who validates the voter’s identity and ballot unit belongs to voter in secret compartment to cast his vote. Once the polling officer validates the identity, then voter can cast his vote. A EVM can store maximum 3840 votes. EVM does not require external power. It runs by the 6V alkaline battery. Which makes EVM useful in most disconnected constituency also. This option is provided to voter from 2013. If the voter does not like any of the candidates then he can use NOTA option. This option is based on the principle that “consent requires the ability to withhold consent in an election”. Still now the votes castes against NOTA are counted as invalid. But it is useful to increase voting percentage and thus helps to reduce bogus votes. The main function of election commission is to conduct a fair election. Election commission is responsible for declaring different important dates for election, vote counting, declaration of result.Every party needs to be recognized by election commission. They needs to register their electoral symbol..
Election commission examines the expenses of the candidates for the election. Before every election, election commission declares a code of conduct to be followed by the parties. Lok Sabha is a part of Parliament. It is also called the house of people or the lower house in the parliament. f) He/she must not hold any profitable post in any government offices. 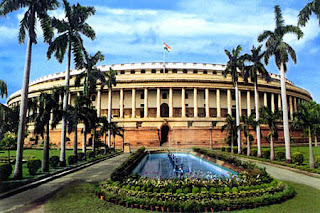 To run the Lok Sabha properly, a speaker and a deputy speaker is elected from the members of Lok Sabha on the first meeting after the election. The members of Lok Sabha are elected for the term of five years. Though in case of emergency this can be extended for a year. 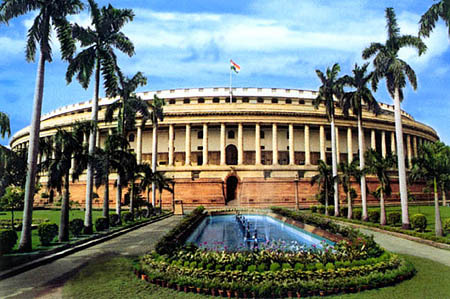 The first Lok Sabha was held on 17 April, 1952. Indian Congress won the first election by 75.99% of votes. Jawaharlal Nehru was the first Prime Minister. The quorum (Minimum number of members needed to carry on the meeting of Lok Sabha) of Lok Sabha is 1/10th of its total members. In a year, Lok Sabha has three sessions (house meeting to conduct business). "Lok sabha tv" is the lok Sabha's own Tv channel which is headquartered in the premises of parliament. It has the same power as Rajya Sabha in case of impeachment of president and the judges of supreme court. It has equal power as Rajya Sabha in passing any bill for constitutional amendment. Lok Sabha members has the power to elect the president, vice president. 1) Money bills can only be passed in Lok Sabha. After a bill is passed in Lok Sabha, it is sent to Rajya Sabha for any recommendations. Rajya Sabha is bound to provide recommendations within 14 days otherwise the bill gets passed automatically. It is up to Lok Sabha to consider or not to consider the recommendations of Rajya Sabha. 2) Motion of no confidence can only be introduced in Lok Sabha. If it is passed then the prime minister and other council of ministers need to resign from their post. Rajya Sabha or Council of States is an Indian constitutional body. It is also called the upper house of the parliament. 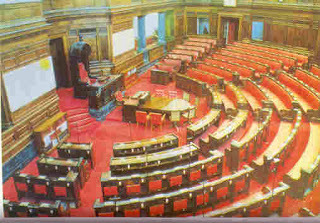 Rajya Sabha has 250 members. Among these 250 members, 238 are representatives of States and union territories. Other 12 members are selected by Indian president according to their achievement in science, arts, literature. Currently Rajya Sabha has only 245 members. 233 elected and 12 nominated. 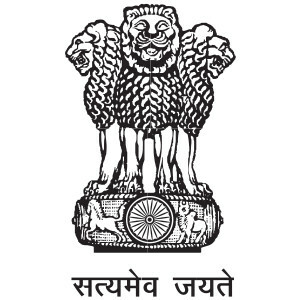 The Hindi name “Rajya Sabha” of Council of States was adopted on 23 August 1954. A person is eligible as a member of Rajya Sabha only if a) he/she ïs a citizen of India b) his/her age is greater than 30 years c) he/she must be an elector from the state,for which he/she is representing. Vice president of India acts as the chairman of Rajya Sabha. In his absence deputy chairman take care the job of chairman of Rajya Sabha. The person for the post of deputy chairman is elected from the members of Rajya Sabha. The tenure of the member of Rajya Sabha is six years. After every two years, one third of the total members of Rajya Sabha retires. The first sitting in Rajya Sabha held on 13 may,1952. Unlike the lok Sabha, Rajya Sabha is not dissolved. The Quorum (Minimum number of members to be present to make the meeting of Rajya Sabha valid) of Rajya Sabha is one tenth of total members of Rajya Sabha. The members of Rajya Sabha are elected by the single transferable vote system. The members of state Legislative assembly selects a predefined number of members for the Rajya Sabha. The number of members one state Legislative Assembly can elect is depended on the population of that state (proportional representation). Any bill (except the money bills) needs to be approved by Rajya Sabha to get passed. If the bill gets stuck for more than six months then President calls for a joint session of both the houses to resolve the deadlock. Rajya Sabha does not have any power to amend or reject the Money bill. Lok Sabha can only introduce Money bill and once it is approved my Lok Sabha, it is passed to Rajya Sabha for its approval. If Rajya Sabha fails to pass it within 14 days then the bill gets passed without the approval of Rajya Sabha. Also, Lok Sabha does not need to consider the amendments proposed my Rajya Sabha. Lok Sabha can reject all the proposals and pass it. It has the same power as Lok Sabha, for passing any bill for constitutional amendment. The members of Rajya Sabha have the electoral power for selection of President, Vice President. Together with the members of Lok Sabha and all the State Legislative Assemblies they elect the President and Vice President. It has power in the impeachment procedure of president and judges of supreme court and high court. 1) Rajya Sabha has the power to make a state list subject into National Importance. If two third majority of the members of Rajya Sabha passes a resolution to support it. 2) Rajya Sabha can also create or abolish an All India Service. If majority of members (2/3 of Total Members) supports it. Manik Bandopadhyay was a Bengali novel writer. He is famous for his novels and short stories that he wrote in his short life of 48 years. He was born on 19 May 1908 in Dumka of Bihar. His original name was Prabodh Kumar Bandhopaddhay. His parents were Harihar Bandopadhyay and Niroda Devi. They had fourteen children. Harihar Bandopadhyay was a government officer and had to visit a lot of place. This gave Manik a chance to connect with many people from his early life. He married to Kamala Devi and had 4 children. He was a brilliant student. He passed the entrance examination in 1926 from Midnapore Zilla School. He secured first division in this examination. He joined the Welleslyvan Mission College at Bankura. In 1928 he passed his I.Sc. with first division. Later he joined the Presidency College, Calcutta. But he was not able to complete it due to financial problem. Manik Bandopadhyay suffered from poverty almost throughout of his life. He started as Headmaster of Mymensingh Teachers Training School. But he switched many jobs in his career. Throughout of his life, his main source of income was writing. His some of novels are- Diba-Ratrir Kabya, Padma Nadir Majhi, Putul Nacher Itikatha. He also wrote some poems but he is mostly known for his short stories and novels. The main theme of his stories and novels was the life of village people. His portrayal of characters in his novels and short stories were brilliant. He joined the Communist Party of India in 1944 and became an active Marxist. From his early life he suffered from epilepsy. In 1956 he went to coma and died on 3rd December. 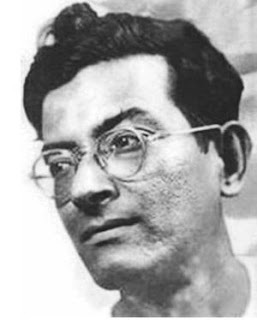 1936 His novels Padma Nadir Majhi and Putul Nacher Itikotha got published. 1939 Started a printing and publishing house. 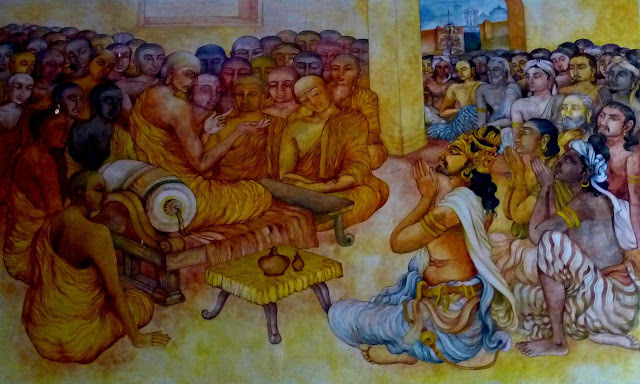 In the history of Buddhism six Buddhist councils were convened. These councils were held under the patronage of different rulers and presided by different monks. The agenda of these councils were to preserve and spread Buddhism. Agenda: To preserve the sayings of Buddha and the monastic discipline or rules. Facts: It was held right after the death of Buddha. In this council Suttas were recited by Ananda, and the Vinaya was recited by Upali. Abhidhamma Pitaka was also recited. Agenda: To settle the disputes of different subgroups. Some subgroup (Mahasangikas) were in favor of relaxed monastic rules. Facts: Many people regard this council as historical. The council rejected the Mahasangikas. Agenda: To analyze the different schools of Buddhism and to purify them. Facts: Ashoka sent many groups to different parts of countries to spread the Buddhism. Facts: From this council division of Buddhism occurred into Hinayana & Mahayana. Many people has doubt on authenticity of this council. Presided by: Mahasi Sayadaw and Bhadanta Vicittasarabhivamsa. Beside them, many monks and scholars joined this council. Facts: For this council, a special Maha Passana Guha was constructed which was similar to the guha where the first Buddhist council was constructed.